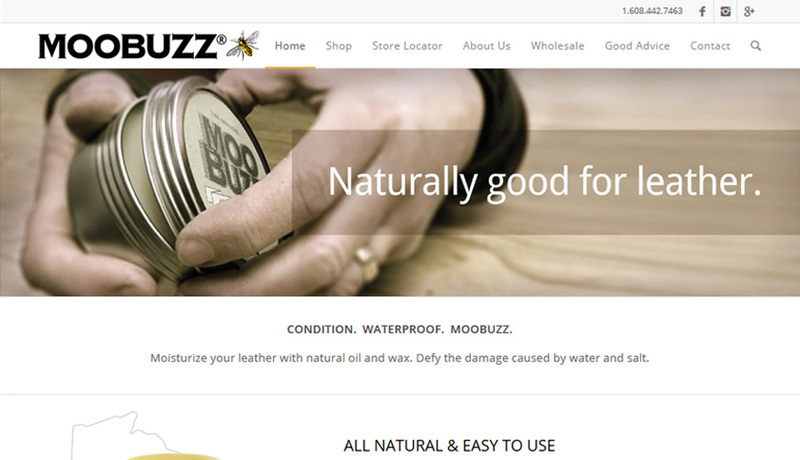 Along with this product’s re-branding came the decision to give MooBuzz a new packaging and a website. It was one of those tight team experiences between frostco.works graphic design, the site owner and myself. Lots of creative energy and fun with its share of concept twists and turns. 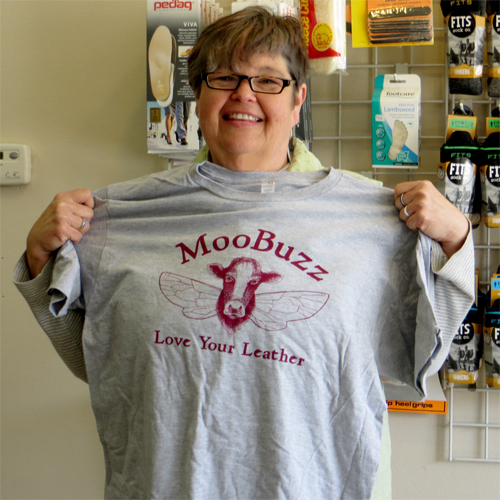 I am also the webmaster for Peg Larabell’s shoe repair site Thirdstreet Leather and Shoeworks, formerly known as Eastside Shoe Repair. The buy-via-PayPal page remains prominent with a clean custom design that is consistent with the print and packaging material. The Good Advice cobbler’s blog also was re-energized in the process. Advice about leather is now published regularly. Referred by: Self referral, the best kind – happy customer! Thank you, Deb. We love your work and are so happy to have you as part of our team. Awww. That looks so nice. Thank you! Wow! AWESOME! I need some new superlatives. We are giving you the shirt for being so awesome! astronomically good work. cosmically fantastical. We luuuuuuuv the new site. It’s wonderful!